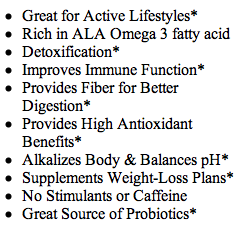 If your feeling low on energy or Omega-3's this is a great drink to have in mind. A 13.7 oz. 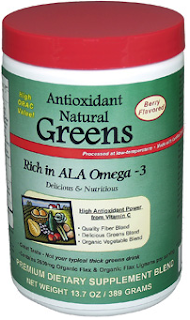 canister of Antioxidant Omega 3 Greens is on sale for $38.99 and you can get it with or without Licorice. Tweet about Giveaway - Please include @tightwadinutah and a link to this post in your tweet. Facebook about Giveaway - go to post on Facebook and click "Share"
Visit FREE Coconut Recipes and leave a comment on this post stating one you'd like to try. Giveaway will end Wednesday, October 26th at Midnight MST. Winner will be chosen by Random.org. All information gathered for the giveaway will be discarded when over. Tropical Traditions provided me with a free sample of this product to review, and I was under no obligation to review it if I so chose. Nor was I under any obligation to write a positive review or sponsor a product giveaway in return for the free product. sooooo many of those recipes look delicious!! I'll give a shout out for the creamy coconut pumpkin fudge though. YUM!! thanks for the giveaway! The Strawberry Lemon Coconut Smoothie sounds good ... it is hot here in AZ! I like the recipe for coconut shrimp and rice. im really wanting to try the stuffed acorn squash. it looks delicious! I want to try the maple coconut bars! The Thai Coconut Chicken Soup recipe looks good as well as the Coconut Pumpkin smoothie!